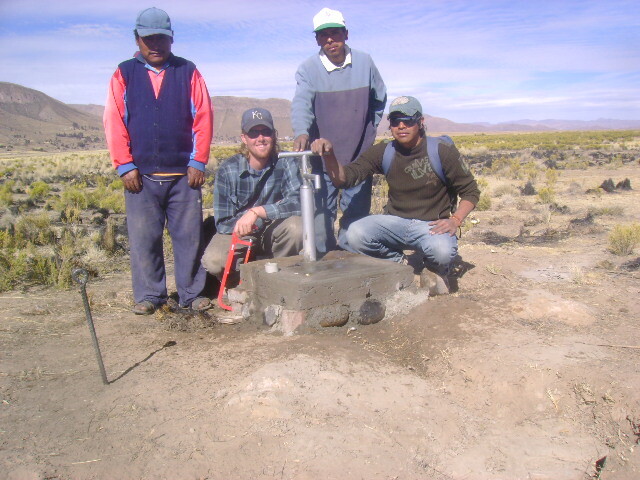 That’s roughly the GPS location of where this well currently resides in the middle of the Bolivian Altiplano. If you plug it into Google Earth it will take you directly to the place where I spent more than a year of my life living and working with my sitemate, Tiffany and my Bolivian friends and counterparts. It’s hard to believe that I left the country three years ago. The experience and lessons learned left such an impact that the memories are still clear and vivid. I’ve tried to honor the people I met and the work I did by continuing to work for causes that I believe in here in the U.S. Those causes- non-profit institutions that support international exchange, climate change education programs like 350.org, self-exploration and artful expression through documentary– have helped sustain my artistic endeavors. I hope that one day soon I can return to Bolivia to check in on my wells and the Arias Family, my hosts for my tenure in the great city of Santiago de Huari and of course my invaluable counterpart Jose Luis Castro (pictured here kneeling with me on the right next to a newly minted well). This entry was posted in The Freshness and tagged Peace Corps, Water wells by Brandon. Bookmark the permalink.